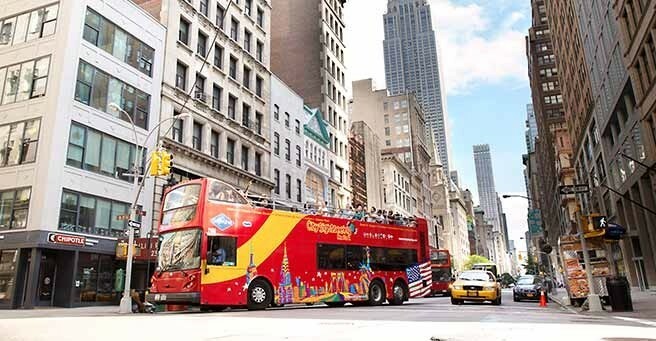 • 24-Hour Downtown Tour + 1 Attraction: Bus tour valid for a full 24 hours, spanning 2 calendar days PLUS choose one add-on attraction from New York City’s top sights. With three different ticket options, it’s easy to choose the Downtown Tour that’s right for you! You can go with the 24-hour Pass which is valid for a full 24 hours from the first time it is scanned on the bus. For early risers and those who want maximum savings, the Single Day Pass is a great option. If you choose this ticket, start your day early to maximize your enjoyment -- the Single Day Pass expires at midnight on the day the ticket is redeemed, regardless what time you start. If you know you’ll want to hop-off and visit at least one famous site along the way, for savings and convenience, consider the 24-Hour Downtown Tour + 1 Attraction Pass. Your bus ticket and admission to the attraction of your choice will be delivered on the same ticket - with savings of up to $18. No need to choose in advance, simply show your ticket at any included attraction for admission. "I bought the ticket for my friend visiting NYC for the first time. 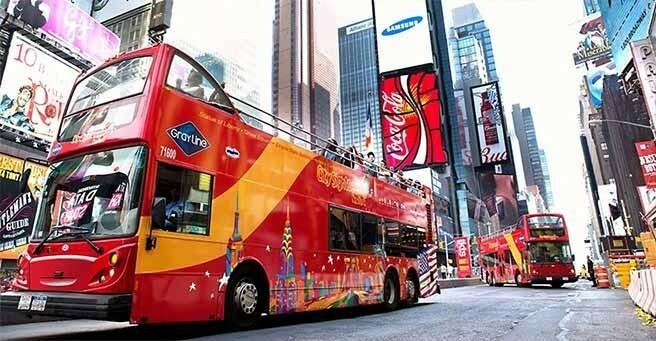 He enjoyed the bus tour to Downtown NYC and the tour helped make his visit memorable. He said he will come back to NYC again. "Evidently you do not display bad reviews. I wrote one last week, it has not been shown. Poor business practice." "Spent most of our time standing in lines waiting for next bus. Our ticket said the tours departed daily 8 am - 6 pm (Apr-Dec). Was told our bus stopped at 5 pm at Times Square. With two handicapped seniors, had 25 minutes to walk 14 blocks to 34th Street to meet our bus home. For those sitting on lower level, couldn't see anything because there were no clear windows. Make sure you have a poncho in case of rain. They provided some, but not enough for everyone and you couldn't put up umbrellas. Would only recommend this for those who have plenty of time in NYC (not for one day trips, unless you are prepared to do a lot of walking). Very disappointed. Only got to go up in Empire State Bldg. prior to getting on tour bus and then the 9/11 Memorial. When you got off the bus, you didn't know when you would get back on. " "My daughters have always wanted to go to New York city, but me and my wife knows how expensive that can be. When I saw this, I knew this was the perfect opportunity for them to see the city without breaking the bank. They had fun, and we all really liked the bus. It was like riding a big convertible. " 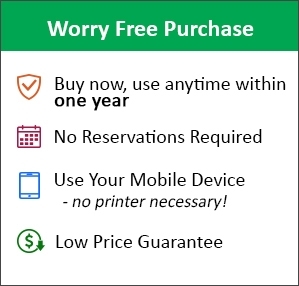 "This is one of the cheapest package here so this is the one I got. I don’t really like the complication of the other packages so I stuck with this. I had fun on the tour. It was simple but worth my money. I don’t live that far from New York so I just wanted to see the key locations, you know? It was good. Thanks!"